Home › Zimfest News Blog › Posts Tagged "marimbas"
Put on your dancing shoes and help MyLinda King and her marimba students raise money for Zimfest and four different charities working in Zimbabwe! An amazing raffle and silent auction will benefit Zimfest 2019, offsetting travel costs for Zimbabwean musicians coming to the festival. This year’s Africa-inspired quilt (quilt4africa.com) will benefit Tariro, Ancient Ways, Portland-Mutare Sister City and Unicef, all charities working in and for Zimbabwe. 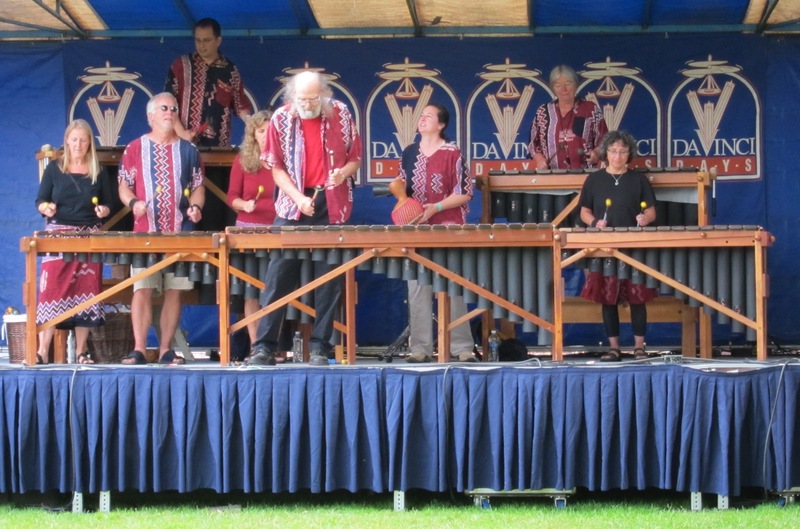 FIVE marimba bands playing music from Zimbabwe, Botswana and South Africa. FIVE non-profits working on behalf of Zimbabwe and Zimbabweans. There is also a set of Matador Timbales on a professional stand, and a set of percussion instruments on a professional stand—2 bells and 3 blocks, and room for more. Finally, there are 2 sets of bass mallets, and 2 sets of baritone mallets. Everything is in good working order. PVC pipes underneath, keys, etc. These instruments were made by Peter Bush in Estacada. We are offering the full set for $1650, or any best offer over that! Will deliver to most places in Oregon for the cost of fuel. Please contact Sara Swanberg via email at saraswan (at) casco (dot) net. This message is posted on behalf of Sara Swanberg and the Maharimbas while we wait for Dandemutande to come back online!